Jack Morton is your agency for creating extraordinary experiences that connects your brand to the visitors of CES 2019. We have created dozens of amazing CES experiences for some of the world's largest technology brands and we truly understand what it takes to deliver real life buzz. Jack Morton has been named to both the Event IT and the Fab 50 lists by Event Marketer. This means we have been recognized for both our ability to design a brand experience AND build it. Check out some of our recent trade show work below and fill out the form on this page to reach a member of our event marketing team. T-Mobile knows CES is a crowded landscape, so throughout the years they’ve asked for our help in producing content and experiences that challenge the status quo in a way that is defiant, playful and impossible to forget. Our CES work with T-Mobile began in 2013 and spanned a half-decade. Click below to learn more about how we helped them shake things up and do something very different. Introducing Kodak Quarter. A regenerated urban space designed to celebrate the best of print media. 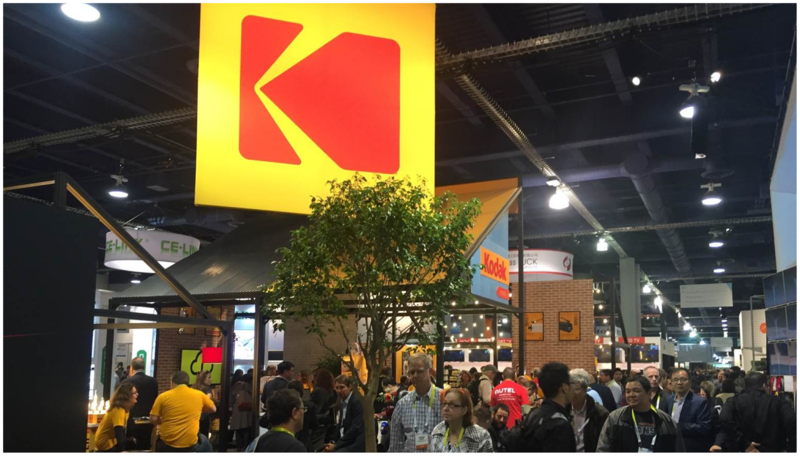 Following the drupa event, Kodak reached out to Jack Morton to again leverage the brand's rich heritage and build on the momentum that had been achieved. The creative brand expression we developed included 3D design and dressing, giving Kodak a new way to think about their physical presence. Its retro feel treatment complimented their analogue Super 8 camera, which was also unveiled at the event. Introducing Audible Recall. An immersive listening game that enticed our audience to try the product in an environment where they felt free to unleash their imaginations. Jack Morton Worldwide is an award-winning global brand experience agency. We believe how brands act is more important than what they say; it’s why we help brands ‘Do something extraordinary.’ For almost 80 years, we have worked with brands to provide the proof of their promises through event marketing, promotional marketing, digital, social and mobile, content marketing, sponsorship marketing and employee engagement.